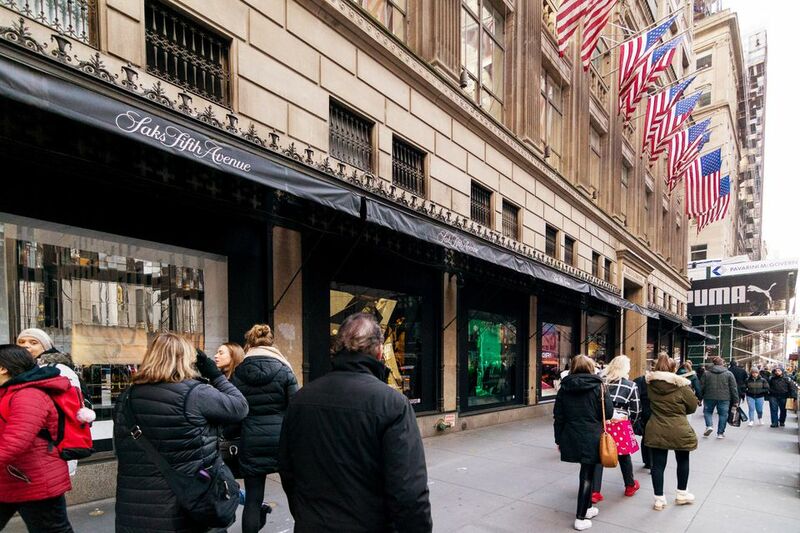 Every day offers terrific tax-free shopping opportunities in New York City. In the past, New Yorkers had to wait for special tax-free shopping weeks to avoid paying city or state sales tax on clothing and footwear items under $110. For over a decade now, New York City has permanently eliminated the city sales tax of 4.5% on clothing and footwear purchases under $110; the state of New York followed suit and repealed its portion of the sales tax (4%) on these same items. The New York City sales tax rate is 4.5%. The New York State sales and use tax is 4% and the Metropolitan Commuter Transportation District (MCTD) surcharge is 0.375%. That makes the total sales and use tax 8.875% for qualified purchases in Manhattan (and the rest of NYC). Which Items under $110 Are Exempt from Sales Tax in NYC? All clothing and footwear, clothing material (fabric, thread, buttons, etc. ), hats and neckwear (ties and scarves), formal wear, and more. Families with infants will be happy to know that diapers (including disposable diapers) are also included here. Just note that this is a human-only offer, meaning clothes and shoes for Fido and Fluffy are excluded. Which Items under $110 Are Not Exempt from Sales Tax in NYC? Jewelry and watches, hair accessories, handbags, nonprescription sunglasses, umbrellas, rented formal wear, sports equipment (pads, helmets, ice skates, etc. ), wallets, sewing accessories, pet or doll clothes, and more. Where Are Some Good Places to Shop Tax-free in NYC? Macy's Herald Square: The world's largest department store, Macy’s has 10 floors and countless items for sale. You’re sure to find something that looks fabulous on you. Bloomingdale's: Bloomie’s is another shopping hot spot in NYC, with designer clothes aplenty and a fully stocked shoe salon. There’s always a sale going on somewhere. Barneys New York: Upscale Barney's peppers its classy fashion collection with edgy apparel and accessories from hot young designers. Century 21: With deep discounts of 40% to 65%, you can find major steals on designer names like Diane Von Furstenberg, Kate Spade, Vera Wang, and more. How to Not Pay Sales Tax in NYC: Clothing, Groceries, and More!